Less than a week ago, a friend was out surveying my land for coyote tracks. 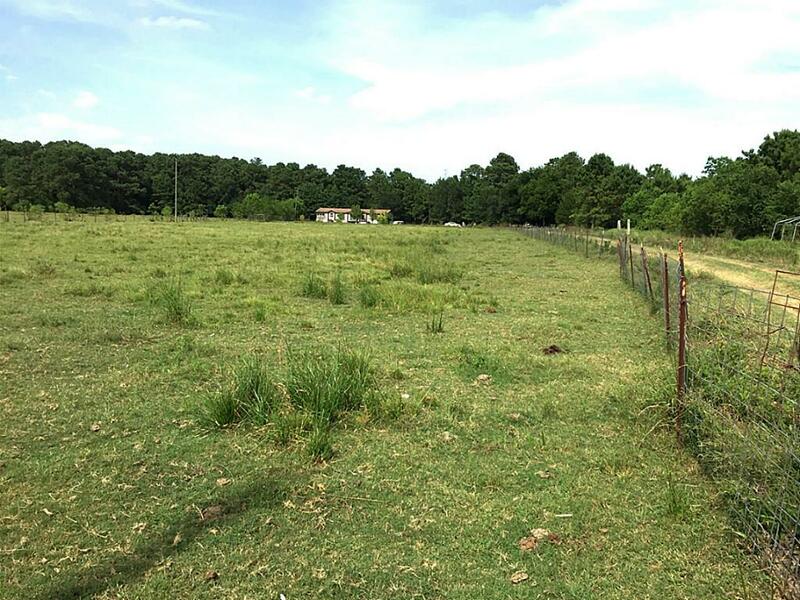 Our land is about 30 acres of wooded pasture, with a creek running through it and a large pond on one side. Every night, coyote howls split the air. While scouting the land, my friend found tracks, droppings, and everything to indicate that coyotes were often present and in large numbers. He set up early the next morning, called them in, and waited. When I saw him that afternoon, he was empty handed. Everything for this coyote hunt seemed to be perfect. So what went wrong? Some hunters have it easy. With huge tracts of land to choose from, with no other hunters around, it can be as simple as going out to a field, calling a coyote in and shooting it within a matter of minutes. For most hunters, however, this is not a luxury they have. Some tracts of land are small and well hunted, leading to coyotes that are often skittish and able to overcome their instinct to move in for an easy meal. In situations like these, it is important to mix up your technique to ensure you'll get that next coyote. 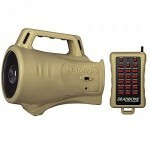 It is important to know the pros and cons of regular coyote calls versus electronic ones. Which is the best coyote call? Many old school hunters rely solely on manual coyote calls, loving their ability to make exactly the right noise at exactly the right time. Some of these hunters even consider it cheating to use electronic coyote calls. However, this mindset is outdated. With recent advancements in electronic predator calls, it is impossible to deny the versatility of having an electronic coyote call with hundreds of different sounds ready to go. With a multitude of distress calls, howls, and yelps, it is as easy as ever to pick out your favorite sounds, queue them up, and let them go. It is also much easier that toting around a couple of different coyote calls for each scenario. Many hunters use well known calls, such as distressed jackrabbits or squirrel, and are often successful with just these basic sounds. Coyotes are drawn to an easy meal and are continuously on the prowl for their next food source, so these are obvious choices. Unfortunately, almost every other hunter is thinking the same way. In areas that see a lot of hunting, coyotes are getting smarter and learning that these sounds often mean death. Successful hunters have found that using many different calls from many different prey species, including birds, fox, and even wild piglets is a surefire way to draw in coyotes. Even if these animals are not native to your hunting area, coyotes still find themselves drawn to these sounds. They are naturally curious, and hearing these sounds signifies an easy meal. It is important to keep cycling through these sounds, creating a diverse sequence. If you fear you have played a sound that they know to avoid, you aren't out of luck. Incorporating many different sounds will still draw them in, despite their initial reluctance. While some hunters will tell you that a certain call sequence is the best, the diversity of your sequence is what is important, as opposed to the order of your sequence. As you can see, if you are not using an electronic coyote call, carrying around all of these different prey animal calls can become burdensome. Different hunters will swear by different sounds. Are distressed prey sounds the best coyote call? While some will say yes, others would disagree. Coyote whines and yelps are often a popular choice. These non-aggressive sounds are made by young coyote pups. During some parts of the year, this can play on the coyote's instincts as a pack animal. In others, when food is scarce, some coyotes may see this as an easy meal. Challenge howls are often a great choice, as well. To properly use this call, it is important to know where a pack's territory is. The idea is to mimic a trespassing coyote, eliciting action from the pack. If you aren't in their territory, coyotes are likely to ignore you. Finally, use a couple of solo howls to get other coyotes to investigate the newcomer. This plays on the coyote's social nature. In this case, you aren't trying to initiate conflict, so you may have more success using this call. Whether you use a regular coyote call or an electronic coyote call, it is important to realize that diversity is key when crafting your sounds, and that there is no best coyote call for every situation. 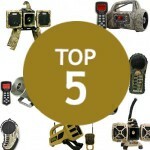 Excellent resources include http://www.foremostcoyotehunting.com/p/daytime-calling-techniques.html and http://www.outdoorlife.com/blogs/hunting/2014/01/hunting-4-expert-coyote-calling-tips. For some free sounds to test out, check out http://www.varmintal.com/coy5-20.htm. Finding the best coyote call for your hunt isn't the only important factor in a successful hunt. It is also extremely important to set up in a good spot. Most coyote kills come from less than 100 yards in, so a clear line of sight is helpful, but not required. The single most important factor to keep in mind while setting up is to stay upwind of coyotes. Once they hear a distress sound and come to investigate, they will attempt to circle around and get downwind of the sound before moving in and investigating. Clever hunters can use this to their advantage, effectively herding the coyote into the perfect area. 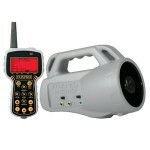 With an electronic coyote call, this is even easier. 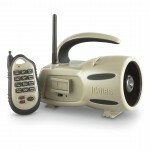 You can set up the call and move away from it, ensuring the coyotes never know you are there. If you have decided that a regular call is the best coyote call for you, it may be a bit tougher to get the coyote exactly where you want them. In this case, a second hunter, designated to attract the coyotes, can be an invaluable asset. It is even possible to buy scents that will mask human smells, making this even easier. Now that you know what to do, what are some of the things a hunter should not do? Everyone makes mistakes and some hunts may be a bust, despite doing everything right. However, there are a few things you may do that can often guarantee a bust. Using the same few calls that other hunters often use is probably the most often reason a hunt fails. As stated above, it is important to cycle through different sounds while you are out hunting coyotes. In especially well hunted areas, coyotes are getting smarter when it comes to hearing these noises. It is important to use calls they are not used to and to know when to use these calls. If you are using challenge howls outside of a pack's territory, for instance, you are certainly going to strike out. Another major point that many hunters fail to heed is to stick around an area for a long enough time. Many hunters make the mistake of calling for around 15 minutes, waiting 15 more, and then moving on. Overly cautious coyotes may take longer than this to move in. If you leave too early, you miss your chances for a kill. Don't be afraid to wait longer before moving on to your next setup. More importantly, if you don't get a coyote, don't give up. Even veteran hunters strike out sometimes. While hunting coyotes is often a fun past time, safety is of the utmost importance. Guns are dangerous and require always being in control of the situation. If you haven't, take a gun safety class. Always go hunting with a partner. Ensure that they are properly trained before even considering hunting with them. If either of you are injured while out hunting, whether by gunfire or something as simple as a twisted ankle, a partner can be the difference between life and death. Always let others know where you will be hunting and of your plans. Hunting follows the same rules as being outdoors for a hike or while camping. Bring enough water and pay attention to the weather. In some areas of the United States, weather can turn life threatening in the blink of an eye. Proper gear is a must. It certainly helps to know the area where you are going hunt. Most importantly, pay attention to what is behind your target and where you are pointing the muzzle of your gun. While shooting another person while out hunting is rare, accidents can happen. Almost all injuries while hunting can be avoided with proper preparation and common sense. Coyotes aren't dangerous, but hunting them certainly can be. Coyote hunting is a popular activity enjoyed all across the United States. Whether you're hunting for pleasure, money, or simply to protect your land, it is important to know what you are doing. Proper safety and technique can be the difference between going home with a coyote or leaving empty handed. Remember that there is no best coyote call for every situation and that cycling through different call sequences is a major factor in success. Recognize where you are going to be setting up and watching for coyotes. A second set of eyes and another gun can make all of the difference. 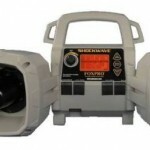 Electronic coyote calls can also give you a huge advantage while out hunting. Their ability to store and use different sounds and their ease of use is unparallelled in the hunting world. Finally, remember to stay safe while out hunting. No one wants to be the one that accidentally hurts someone or even puts others in harm's way. Choose the best call for your needs, pick your best set up, be safe, and good luck!